This is painful. “I feel empty; I feel empty,” these were the words of the mother of 16-year-old university student, Seiyefa Fred, who was killed by suspected cultists on Thursday in the Amarata area of Yenagoa, Bayelsa State. She went home because of ASUU strike, only to be killed. In a telephone conversation with The Punch on Sunday, the distraught mother, Victoria Fred, said nothing prepared her for the death of her daughter, adding that the deceased had a promising future. According to reports, that the suspected cultists shot at the 100-level student of the Niger Delta University for allegedly refusing to hand over her mobile phone to them. However, the mother of five, Victoria, said Seiyefa had gone out with her niece on the day of the incident, adding that there was no way she could have struggled with her assailants. The Bayelsa State indigene stated, “I am still in shock about what happened, because on the day of the incident, Seiyefa was at home and she told me that she was hungry around 8pm. I told her to go and buy suya because our house is close to the road. She was about going out when her niece, who is barely two years old, started crying that she wanted to go with her. “So, she went with her niece. My husband warned that she should keep her phone well so that her niece won’t knock it out while playing with it, which she did by putting it in her pocket. Victoria added, “There was no way she could have struggled with them because of her phone when she was carrying her niece. She couldn’t have endangered the life of the baby. And she was shot in the back, meaning that she did not even know that the assailants were coming. 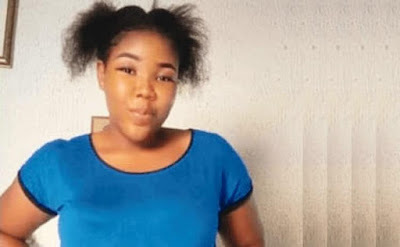 Seiyefa’s elder sister, Floey Walton, said the deceased was a good girl, adding that she was home because of the strike called by the Academic Staff Union of Universities (ASUU). The Police Public Relations Officer, Bayelsa State Command, DSP Asinim Butswat, said "We have not witnessed this kind of gruesome murder in a very long time. There are no arrests yet, but we are working on a very promising lead; and in no distant time, we will make some arrests."